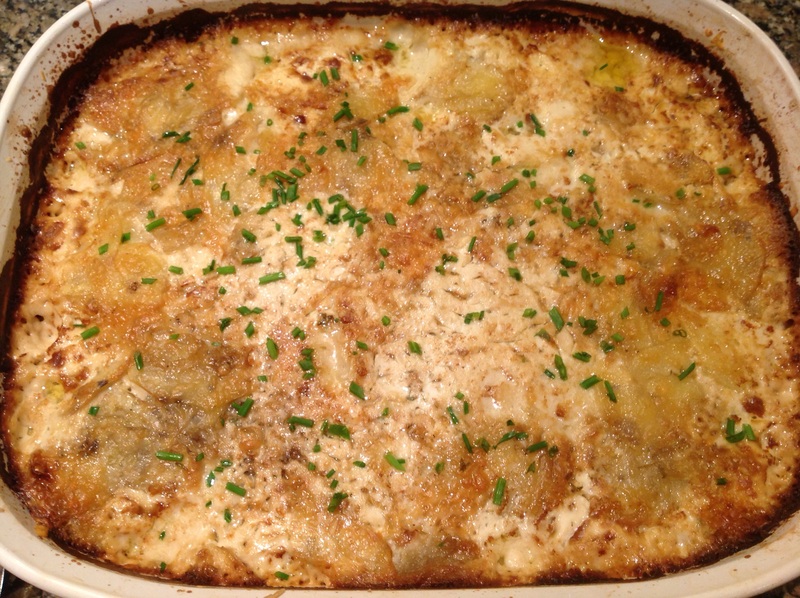 For many, it is impossible to imagine an Easter celebration without scalloped potatoes. 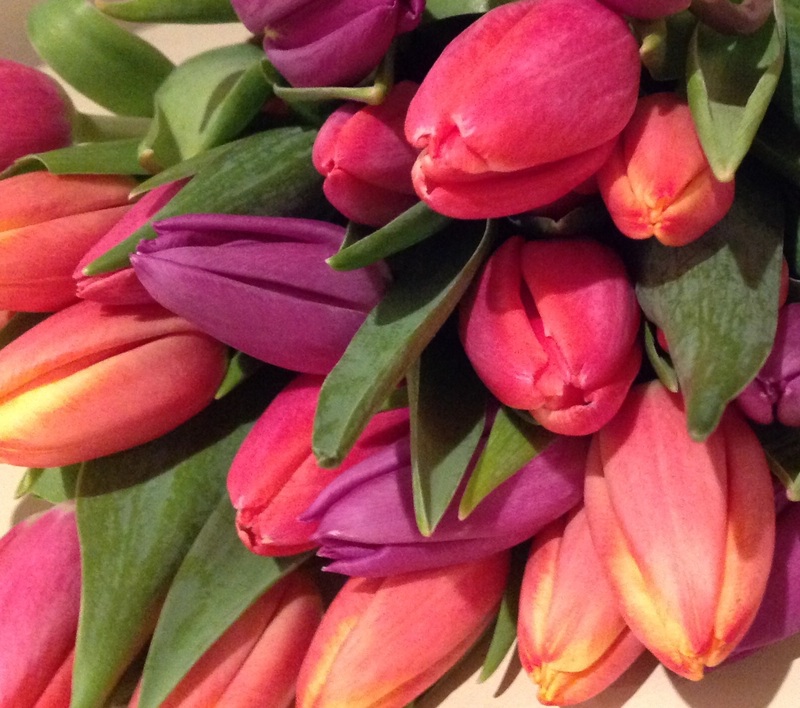 For me, they always evoke fond memories of my beloved mother-in-law Louise, who always made them at Easter. Traditional recipes call for milk, cheddar, dots of butter throughout and flour for thickening. I brought a French twist and updated the classic with some shallots and thyme, cream instead of milk, flour and butter, and nutty gruyère cheese for its great flavor and meltability. Fair warning: this dish Is just so good, it just might upstage the ham! Preheat oven to 350 F. Generously butter a 9 X 13 inch baking dish. In a frying pan, melt 1 T butter and sauté the shallots until translucent. Remove from heat and reserve for assembly. Mix the salt and pepper together. For ease of layering, you will visually divide the ingredients as follows: the potatoes in 3, the cheese in 3, the salt and pepper in 3 and the shallots and thyme in 2. On the bottom of the baking dish, place one layer of potatoes. Top with shallots, thyme, salt and pepper. Repeat. Finish with a top layer of potatoes, salt and pepper and the final portion of gruyère cheese. Heat the cream in a medium saucepan until warmed through. Pour the cream evenly over the whole thing. Cover tightly with foil and bake on a sheet pan for 1 hour, on a middle rack. Remove the foil and bake another half hour until bubbly and golden. Sprinkle with chopped chives and rest 5-10 minutes before serving. 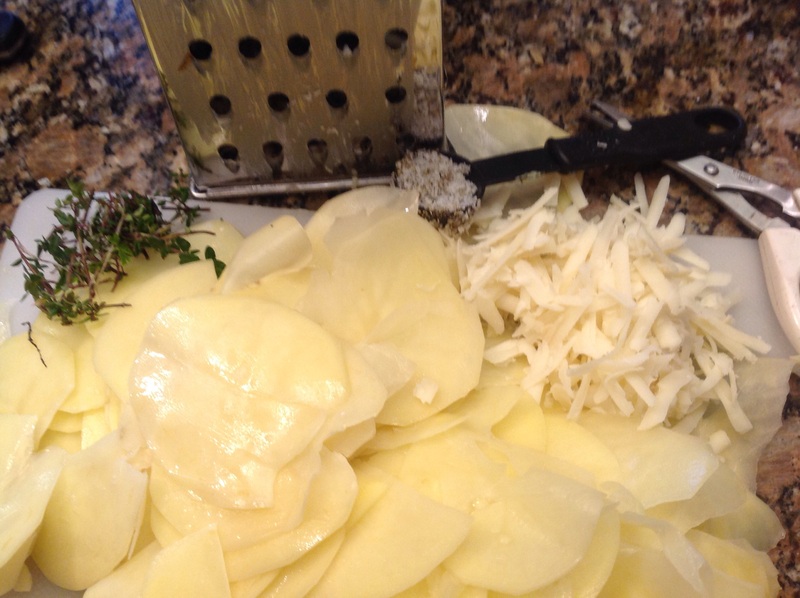 Use a mandoline to get thin potato slices. 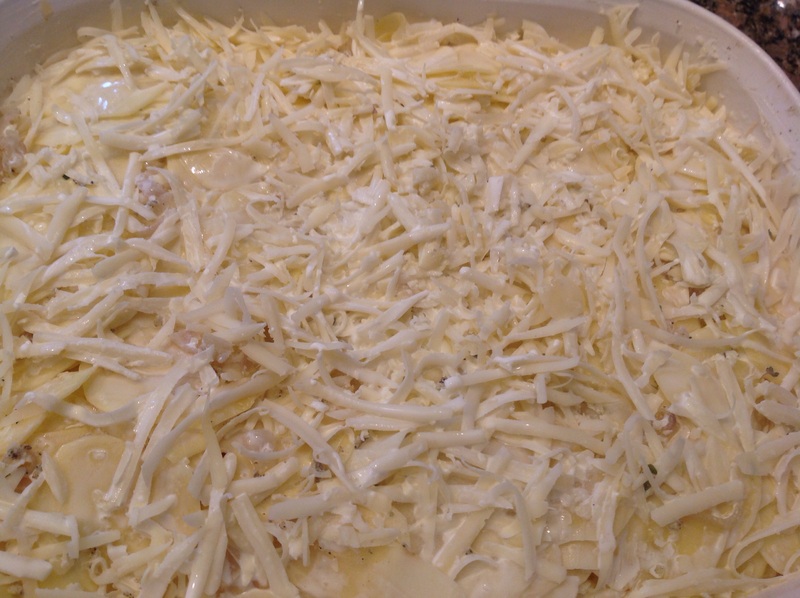 The final layer of gruyère, ready to go into the oven. 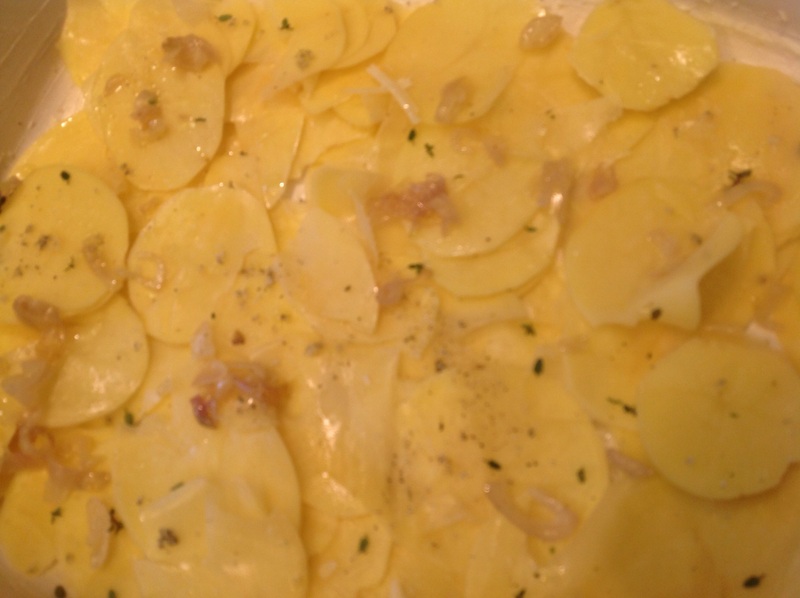 This entry was posted in Entertaining, Recipes and tagged Scalloped potatoes with shallots thyme and gruyère by Johanne Lamarche. Bookmark the permalink. Mmmmmm they look absolutely irresistable!!!!! Not my specialty but they sure were delish! Thanks Loretta! Happy Easter to you too! Thyme & potatoes are a combination made in heaven!! It must taste so good Johanne, yum!! I didn’t know about this recipe, but is certainly sounds delicious. And your pics are just great! Thanks for sharing. Thank you Cecilia! Happy Easter!! A special indulgence for sure but worth the calories! Happy FF and Easter weekend Juliana! Definately not WW Judi but sooo decadent for a special meal! Happy FF and Easter! I would certainly not miss the ham at all with these potatoes on the table! Magnifique! Merci!! I always seem to like the sides in most meals more than the feature!! !